Following the commencement of the Strata Schemes Management Act 2015 (NSW) the secretary of an owners corporation must keep a consolidated up to date copy of the by-laws for the strata scheme. As was the case before the 30 November 2016 changes, owners corporation can by special resolution change the by-laws for the strata scheme from time to time, however, any change of by-law for a strata scheme has no effect until the owners corporation registers the by-law on the certificate of title for the common property by lodging the appropriate documents at the Land and Property Information Office. One large change is that since 30 November 2016 the LPI has issued a new form to register a change to the by-laws. The form requires a consolidated list of by-laws, including the new change of by-law, to be included as an annexure. This means that owners corporation will have to complete a by-law consolidation process before it can register any new change of by-laws. This change also means that once the consolidated version of the by-laws has been registered all current change of by-laws notifications on the certificate of title for the common property will be removed and the folio will be updated to refer to the consolidated version of the by-laws. Accordingly, it is important that the consolidated list is complete and accurate. Owners corporations should be aware that the by-laws in force for a scheme will depend on the date the strata plan was registered. A further change is that all schemes in existence before 30 November 2016 must review the by-laws for their schemes before 30 November 2017. 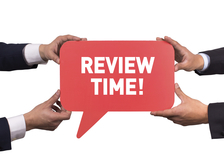 We recommend scheme’s conduct an in-depth review to ensure their by-laws do not breach the new restriction on by-laws bought in by the new Act and to update any by-laws to meet the scheme’s current needs.